Sunday morning. Muesli then tea and toast. I love a good breakfast. It’s probably my favourite meal of the day. I have the kitchen/family room to myself. The rest of the house snoozes. There is an upside when your children grow up; moments of peace. To be lolling around the kitchen on a Sunday morning when the day is still young, with nowhere in particular to be and nowhere to go, is like stepping into a slow motion world of harmony and equilibrium. The steaming pot of tea has “drawn” and is ready to pour. Frances reads in our room so I bring a cup into her. That’s her idea of peace; a book, pillows at her back, and one of my cups of tea (I probably make the best tea in the Southern hemisphere. Possibly the world). We are both content. Symmetry is attained. I switch on the TV and plug into the replay of the Cats v Giants from Saturday afternoon. By the end of it I have sweaty palms and a raised heart rate. The Sunday morning reverie has been blown to the shizenhausen. This was some game. I missed the Cats on Saturday because I was at Victoria Park, Kew watching the Kew Bears doing battle with Pascoe Vale in the local Women’s footy competition. That was a brute of a game too. Both teams went into it undefeated. The wet weather made for a close and physical encounter. The Bears seemed to have the measure of their opponents all day but couldn’t really shake them off until the second half of the third quarter. Four goals to nil kicking down the hill and with a slight breeze broke the game open. But Pascoe Vale, wearing Essendon colours, refused to relent. They scrapped and fought but were ultimately outclassed. No.42 for the Bears, a player of Brad Hardie proportions and skill whose name escaped me all day, roamed the half forward flank dishing off handballs and kicking a few herself. And the midfield of the Bears ran a bit too deep. They will be hard to stop this year if they can keep everyone on the paddock. When the final siren sounded Clare, our oldest daughter who has been completely seduced by the wonders of playing footy, ran off the bench to celebrate with her team mates. She accidently collided with a Pascoe Vale player who took umbrage, and began pushing and shoving. Soon it was on. Scuffles and scrimmages, jumper punches and finger pointing. I know I should deride such behaviour and it was an unedifying conclusion to a terrific game, but a piece of me loved it. This game really meant something. The first seeds of a future rivalry were sown. Grandma and Grandpa, who were there watching Clare play, weren’t so impressed with the post-game physical entertainment. It is a brave new world and one that leaves them perplexed on many fronts. The first quarter of the Cats v Giants clash seemed to be over in a flash. Johnno hit a pack and snapped a goal across his left shoulder whilst seemingly running towards the Hot Chips van in the pocket. I hadn’t even sipped my cuppa yet. Look out, I thought, Johnno has his best clown suit on today. His celebration was a re-run of an old Brylcreme advertisement. Not sure what it meant. He probably doesn’t either. I still love Johnno. The Giants ran in irrepressible waves. Shiels could be the new Chris Judd. He is a different build but has the same shimmy and an identical ability to split the atom under pressure. It seemed to me that the Cats were just clinging on. At quarter time the Giants had a big 11 point lead. It was a big 11 point lead, as opposed to a small one, because it had the potential to become large very quickly. I’m a firm believer that points in a game of footy should be contextualised. There are games where a 6 goal lead is nothing, and other games where a 5 point lead is mountainous. But there are also games where this can change within a quarter. This game was probably in that latter category. It threatened to break open at any minute. It was just impossible to know which way. They played it in each other’s forward trenches, with a vast no-man’s-land in the middle that could only be traversed in gut busting sprints, either setting up a forward press or retreating to build a defensive wall at half back. Mummy must have been to Church at quarter time because he began treating Geelong players as he himself would like to be treated. He let Z. Smith get on top in the air though I would love to see Smithy take a grab around the ground one day) and he gave no hint of wanting to belt a Geelong player into next week. With a ruck ascendancy came the influence of Selwood, Guthrie, Dangerfield and the indefatigable Bartel. Menzel and McCarthy were crucial for Geelong in providing vigour and tenacity close to goals. As the weather closed in the Cats put up a soup kitchen in their forward line, which attracted plenty of bodies who seemed unwilling to leave, but once again they tried to kick themselves out of the game. At half time they were 5 points up; a small 5 points, albeit with 5 more scoring shots. The third quarter continued the theme. The Cats peppered the goals but their forward entries were laborious and convoluted, whereas the Giants extracted it from packs and kicked truly through the big sticks with youthful, un-muddled minds. Nineteen scoring shots for the Cats to twelve for the Giants, still only translated into a slender 2 point lead at the last break. The players were knackered. It had been break-neck footy. The last quarter was a cracker. Geelong’s wily old hands were probably the difference. That and the quirks of the ground itself. Hawkins kicked a ripper from just outside the fifty and Menzel iced the game after he and Dangerfield ran at the goals like two blokes who were late for the train. Bartel was ubiquitous. I reckon when they name Geelong’s team on a Thursday night they mark Bartel’s position as “Everywhere”. If Jimmy’s possessions were telling and abundant, Selwood’s last 15 minutes were pivotal. He consistently impacts a game like few others. His skill and game day toughness are obvious, but he also gives form and substance to sheer will power. He makes it visible like a guernsey and boots. It seems to reside in his eyebrows. The Giants kept running and pushing forward, but the final margin was a big ten points, as opposed to a small one. Nonetheless they are a formidable team which will only improve. The idea that the Cats could feasibly play this mob on a bright, sunny, dry day sometime in September fills me with dread. With the game finished I lifted myself off the couch and discovered that most of the family had arisen. Clare, who got up last, wanted to watch the game so we went back to the first quarter and started again. Johnno’s goal was just as good the second time around. I still love Johnno. Votes: 3) J. Bartel, 2) D. Shiel, 1) J. Selwood. You have accurately captured the game Dips. It was a seriously good game of footy. 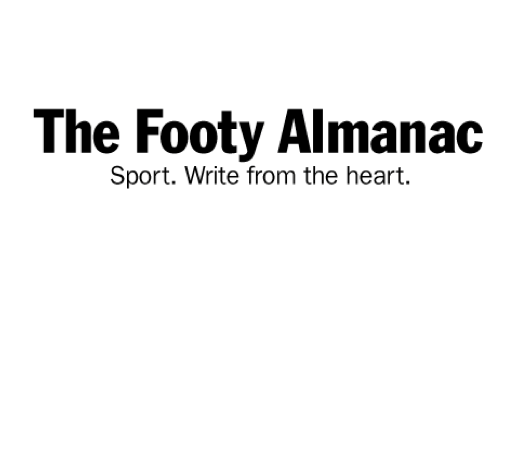 Some beaut observations about Johnno, Selwood and Bartel. Jimmy Bartel put on a masterclass of where to position yourself and what to do at the right time. Selwood bumping Mumford off course while surging out of the centre in the last quarter was huge. My grandfather always said that you must let tea “draw”. Great to see Clare getting amongst it !! Dips, we were in the middle of the big East Coast storm with the power out. So instead of sitting back by the fire watching the start of the game on TV, I was madly searching for: (a) another source of light (b) a gas cooker just in case the power stayed off (c) a cold beer before they warmed up (d) a mobile phone or some other device to watch the footy on (e) the dog out in the rain. Missed the start and caught up early in the second quarter. Phone coverage fluctuated like the scoreboard and then my wife had a more urgent alternative use for the phone. Strange that! I gave up until the last quarter and then sat on the edge of my seat until Hawkins and Menzel kicked two through the correct posts. Could not watch the replay for a few days as the storm continued to give some grief. I should not complain though. When I finally did catch it, I saw the same game you have so accurately described. Well played Dips. Did you know the result before you watched the game on Sunday morning? Reads as though you didn’t. If not, grand achievement to avoid a score for that long. Lots of love still for Stevie J, might be plenty of (finals) footy left in him yet. This home ground advantage stuff is really unfair on Collingwood who only get to play 18 games in Victoria on neutral grounds like the G and Etihad. It’s an outrage !! Loved Stevie’s goal and a good response from your boys after an indifferent couple of weeks. Best win of the season after the Hawthorn game? Great read Dips, the game in all its forms, from emerging to established, where there is an honest competition is scintillating to watch. Imagine the blood pressure of the players in these encounters! As for best tea maker in the world, mmmm, I’m not sure about that. Yes, this is a Hawks/Cats tea stand-off! It’s now Thursday & I’m just coming up for air after a few days. Didn’t know who won this game when I started reading. J Bartel a pleasure to watch (most weeks). Thanks for the comments gents. This game caught me by surprise a bit. I knew the result when I started watching the replay, but scores seldom reflect the whole game. I love watching good, hard, close games of football. I loved reading the report as well. I’d also love to see these two teams play on a neutral ground this year. Take out the home ground advantage and it would be amazing. I think Stevie J’s head rub celebration was to remind the Cats fans that he’s still amazing. Or, it could have been something else entirely…….